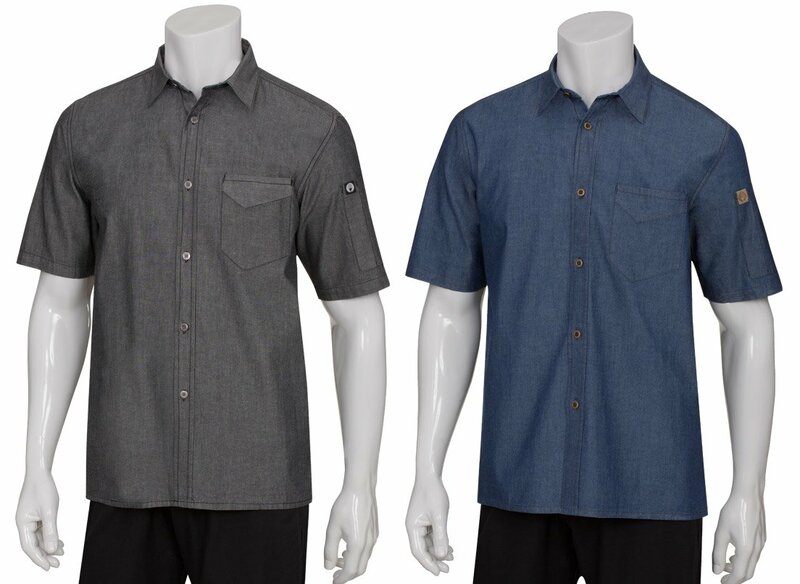 Available in Black or Indigo Blue. 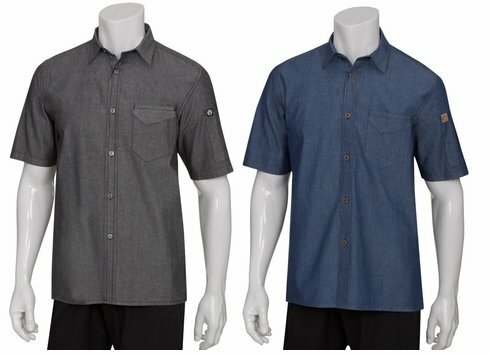 Our enzyme washed denim short sleeve server shirt in a lightweight poly-cotton blend fabric is comfortable, durable, and practical. The combination of hip denim and antiqued metal buttons give this traditionally styled oxford a cross-over modern look. 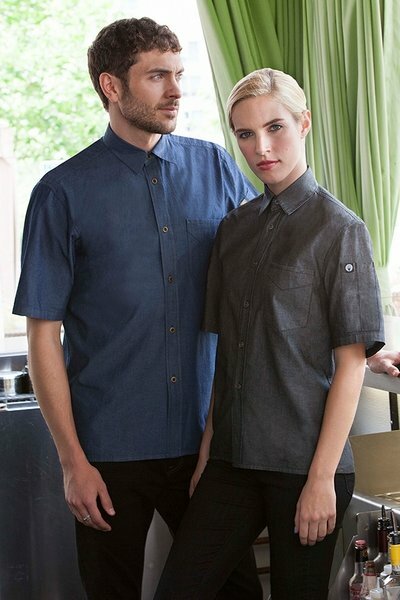 With a left breast pocket and thermometer sleeve pocket, these shirt are functional for both your front and back of the house staff. Available in sizes XS-3XL. (Up Size Charges apply, our system will add the following: XL $3 2XL $6 3XL $9).